Jomary Torres will look to get her ONE Championship career back on track following consecutive losses in The Home Of Martial Arts. 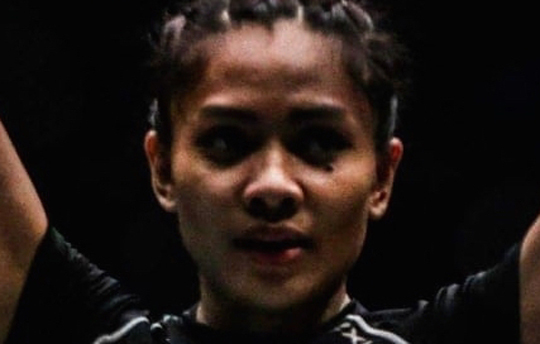 Torres will take on China's Lin Heqin on the undercard of ONE: REIGN OF VALOR at the Thuwanna Indoor Stadium in Yangon, Myanmar on Friday, 8 March. The Catalan Fighting System product started her ONE career with three consecutive wins, but faltered as of late, dropping back-to-back bouts to end 2018. She hopes for a different outcome for 2019. Lin will be making her ONE Championship debut at the event, but she is not new to top competition. The 25-year-old, who trains out of Black Tiger Fight Club, holds a 16-2-1 professional mixed martial arts record and has a reputation for delivering knockouts. With Lin’s willingness to exchange on the feet, Torres believes the Chinese standout is the perfect athlete to face if she wants to return with a bang. In the main event, Zebaztian Kadestam will defend the ONE Welterweight World Title against Georgiy Kichigin to kick off ONE’s inaugural event in Myanmar this year.